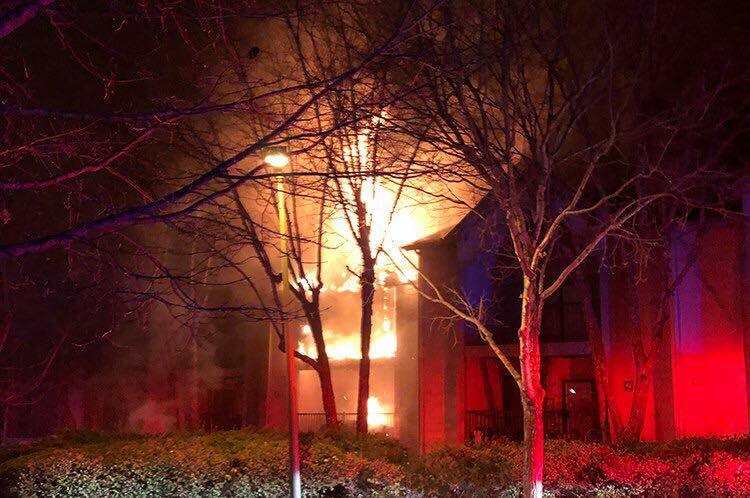 This morning, at 0420hrs Our Stations 1, 2 responded to Cornelius for a working structure fire in the Admirals Quarters Condominium Complex off Nautical Drive. 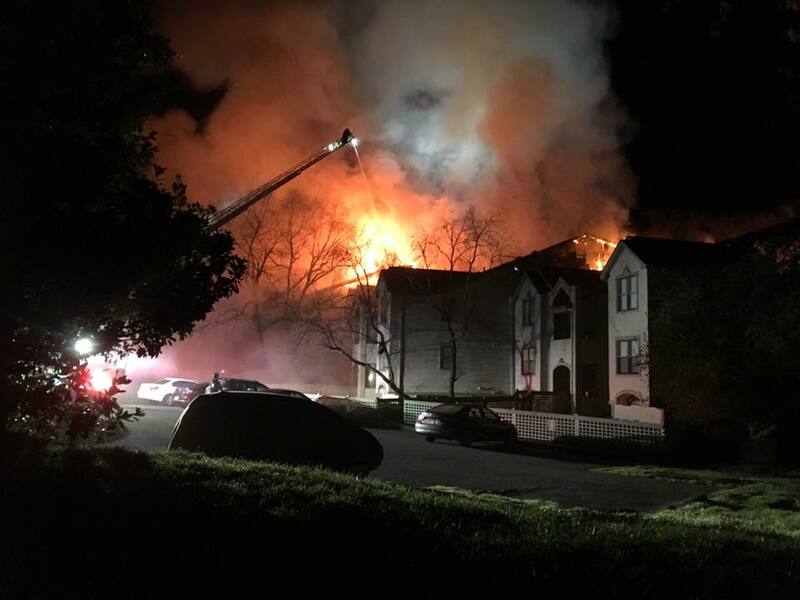 Upon arrival Cornelius Engine 4 found a three story condo with heavy fire visible from the 3rd floor and roof. The call was upgraded to a Working Fire and additional units were requested from Davidson Stations 1 & 2. Due to the close proximity to Lake Norman Denver Fire Boat 13 was requested. Cornelius Engine 4 personnel were able to secure their own water supply and begin fire suppression. Crews advanced a 2” attack line to the third floor and began hitting the fire. 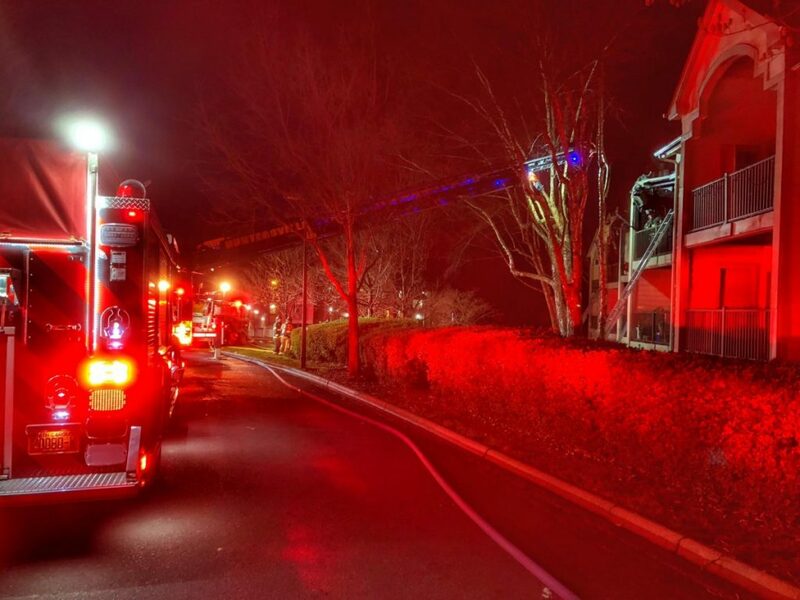 Huntersville Engine 2 began a primary search. Cornelius Engine 6 arrived and assisted with suppression, H&L44 arrived and set up the aerial for master stream operations. Davidson Engine 3 arrived and established a water supply to H&L44. 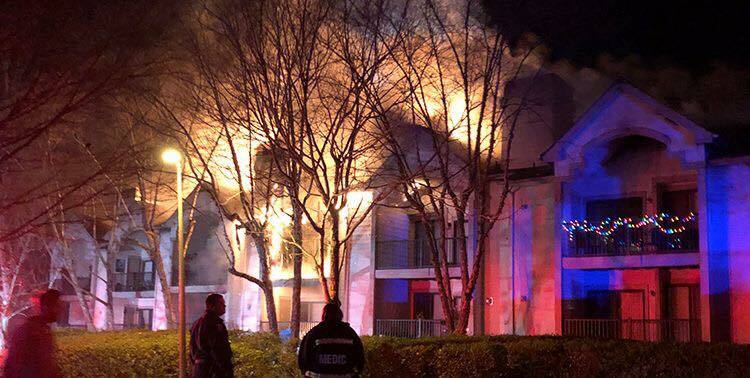 Due to the size of the structure and the amount of fire upon arrival a box alarm was also requested from Charlotte Fire Department. 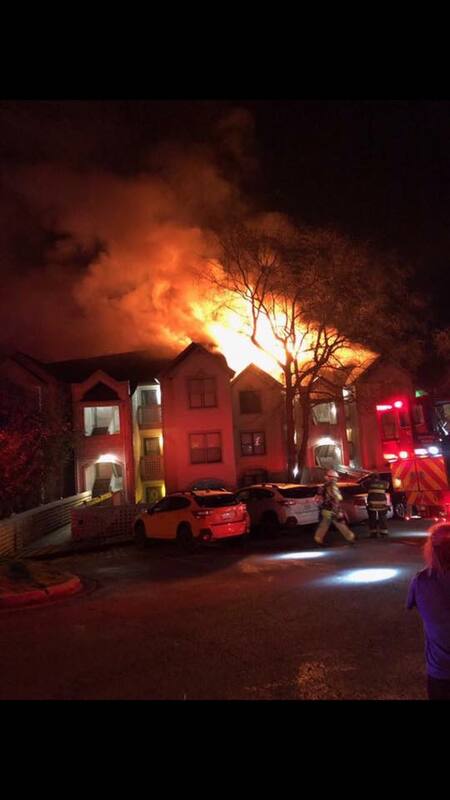 A total of 18 condos are located in the fire building and all of them suffered fire and or water damage. All primary searches proved to be negative. There were two aerial master streams used and two large diameter hand lines in order to control the fire.